As I read today’s Gospel, I thought it convenient to make a post on the following words of Our Lord Jesus Christ. Hence, dear friends, let us make it a habit to say “no” to ourselves many times during the day for love of God, for this is the only way for us to follow Christ towards our eternal destiny. 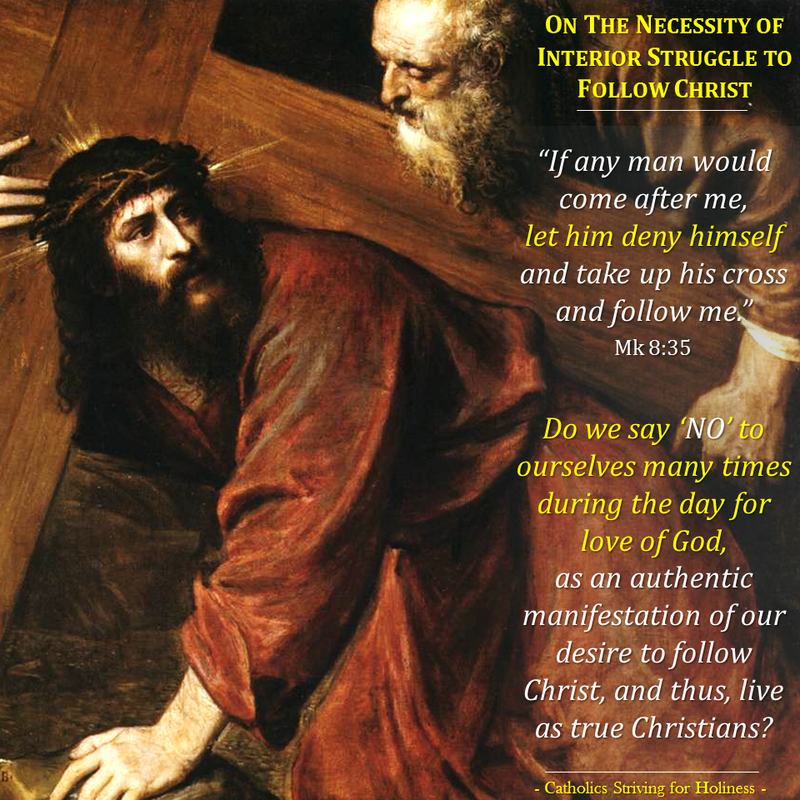 Let us not flee from the Christ’s Cross (suffering, pain, illness, difficulties, problems of daily life…).